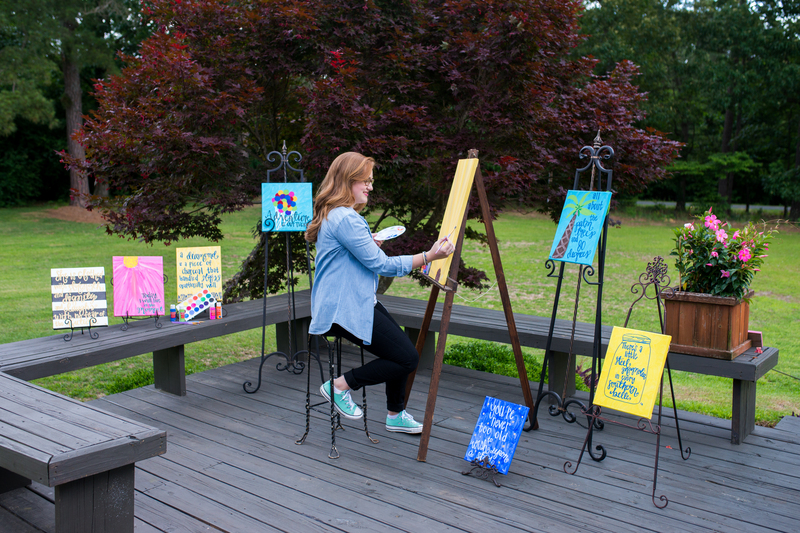 Sarah Roberson, a junior Business Administration Major, from Buies Creek, NC showcases her artwork and her great leadership skills by opening her own business. 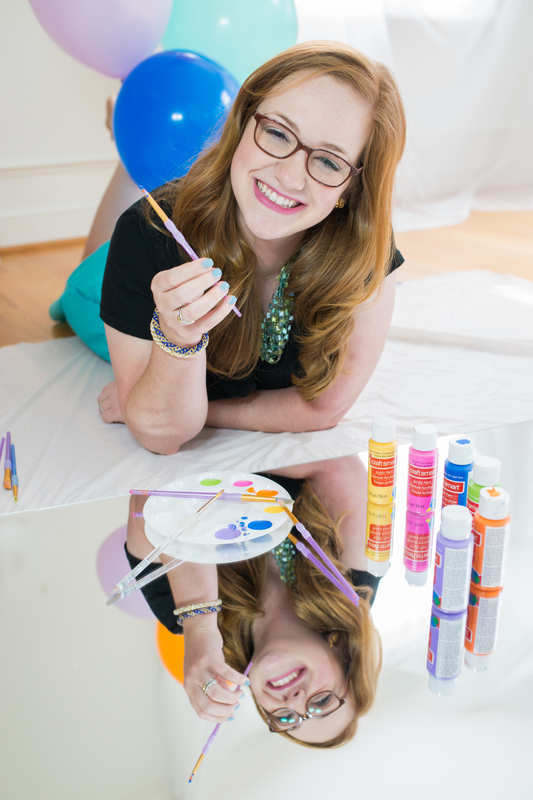 Roberson created The Redheaded Camel to express her creativity and utilize her business knowledge. I focus on academics during the week and catch up on orders and building new collections on the weekends. You can find me with paintbrushes and a stack of canvases on any break from school! Q: How did you become interested in art, and at what age? I have always enjoyed art, but after a serious injury that ended my career as a competitive dancer, I started painting. Getting to be creative and expressive in a new way was what really helped me to overcome that obstacle. I was a sophomore in high school when I first picked up a paintbrush. I’ve taken art classes in school, but I have no technical or formal training. Q: What is your favorite art piece? Please attach a picture of that piece. This is such a hard question! Every single canvas I have had the opportunity to paint is infinitely special to me, because each one has allowed me to live my dream another day. 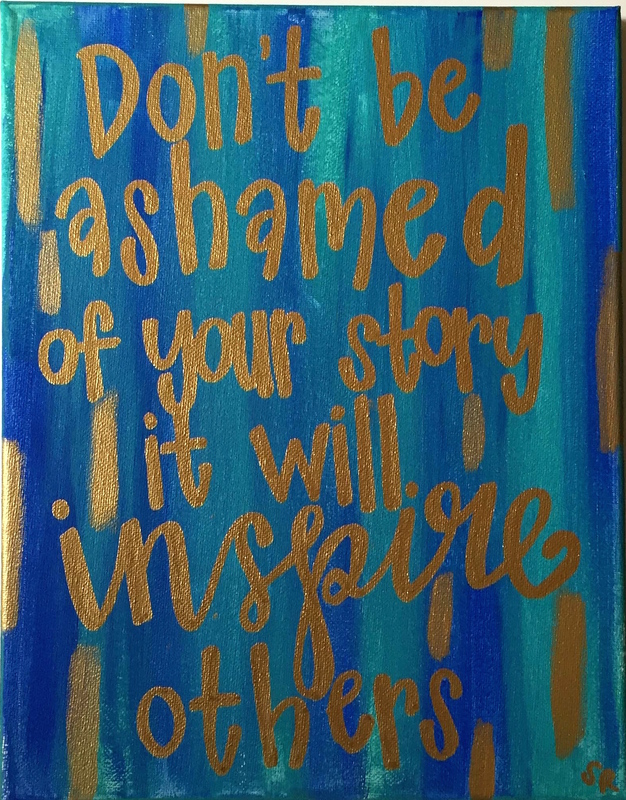 People order canvases as gifts for family and friends, and though I may not ever have the chance to meet the recipient, each canvas is special because it has allowed me to play a part in making that person’s life a little brighter, even if just for an instant. So, in that regard, it would be impossible for me to pinpoint one favorite over all the rest. I think Vincent Van Gogh said it best… “There is truly nothing more artistic than to love people.” However, when I look back over all the pieces I’ve done over the years, the one that stands out the most is the very first canvas I ever painted. It might seem odd, but it still hangs on my wall to this day. Every day when I see it, it serves as a reminder of the evolution of my art and the way that a leap of faith has allowed me to make my dreams my reality every single day. Currently, my favorite piece is a marled 11”x14” that will be featured at Goldston Days in October of this year. Q: How many states has your artwork been ordered from? The Redheaded Camel currently has canvases hanging in 37 of the 50 states. In the past year and a half, over 350 canvases have been shipped and delivered from sea to shining sea. Q: Are you coming up with any new pieces soon? The Redheaded Camel’s Harvest Collection was released in early September. I am constantly dreaming up new pieces, designs, and concepts to add to the collection that’s available year-round on Etsy. I am launching a very special project at the beginning of October, and of course, the Holiday Collection will be coming soon! Q: Has Campbell inspired your art in anyway during your time here? Inspiration is everywhere, if you’re willing to take the time to look for it. In my three years in the Creek, I have certainly found inspiration. Right down to the name, The Redheaded Camel will forever bleed orange and black. Q: Where does most of your inspiration come from? Inspiration is everywhere. For me, it comes from the deepest hues of twilight in the fall, the ombre shades of a summer sunset, and the ability I have, through art, to make people smile. Q:When do you find time to do your artwork? It’s a balancing act, for sure, but it is so worth it for me. I focus on academics during the week and catch up on orders and building new collections on the weekends. You can find me with paintbrushes and a stack of canvases on any break from school! Q:What would you say to any incoming freshman about “making their mark” here at Campbell? Chase your dreams. Don’t be afraid to do something different. Every awesome thing exists because someone was brave enough to take a leap of faith. Make waves. Don’t ever give up. Whatever you do, do it with your whole heart, and don’t stop until you’re proud.